Helga Pataki is a young girl from the animated TV show Hey Arnold! She is quite bossy and will be seen bullying her schoolmates especially Arnold. Though she is soft and kind at heart, in front of Arnold she represents herself as a mean person because she doesn’t know how to express her feelings. If you relate yourself to Helga and feel somewhere you behave the same way in front of someone special, dress up this Halloween just like her, with those unibrow, of course, that kind of makes her face rude. As there are no official costumes, join me as I show you how you can make your own Helga Hey Arnold costume from scratch. Helga has a long blond hair tied in pigtails (like the end of a broomstick but without any visible hair ties) with black and thick unibrow. 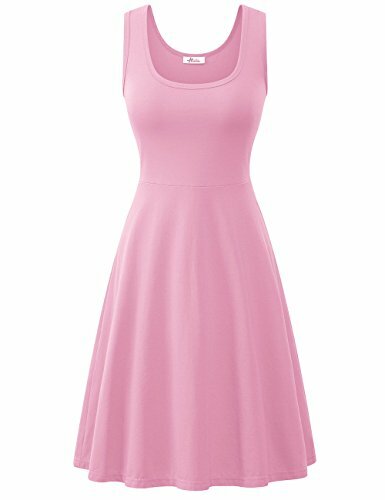 She wears a long sleeveless pink dress over a white T-shirt, ties a pink bow on her hair, and wears white sneakers. If you are blonde with long hair you can simply buy a transparent hair tie to make pigtails. So that the ties are not visible. 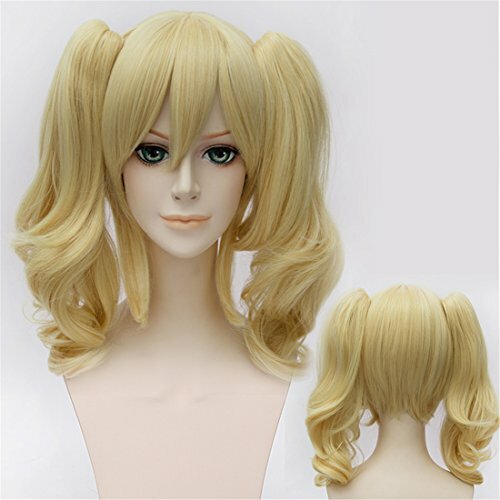 For others, you can purchase a blonde wig with fringe and tie your hair with a transparent hair tie. Use an eyebrow brush to make your eyebrows thick and fill it completely with black color. With the black eyebrow pencil, draw a light mark from both the edge of your eyebrow to the center of the nose. Repeat the same for your second eyebrow. After both the lines meet at the center, fill it will black color to make a unibrow. 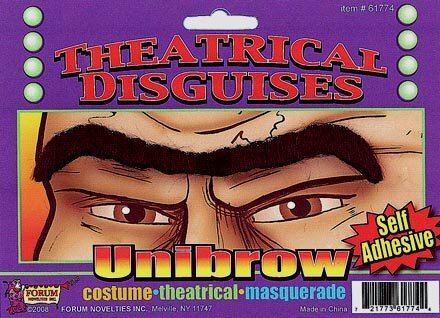 If makeup is not your thing simply purchase one set of unibrows online. 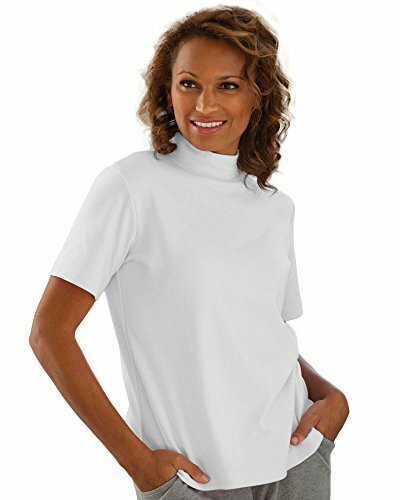 Helga wears a white color T-shirt, and a sleeveless tank top cut pink dress with a hem (3 to 4 inches below the knee). You can get all these materials online. 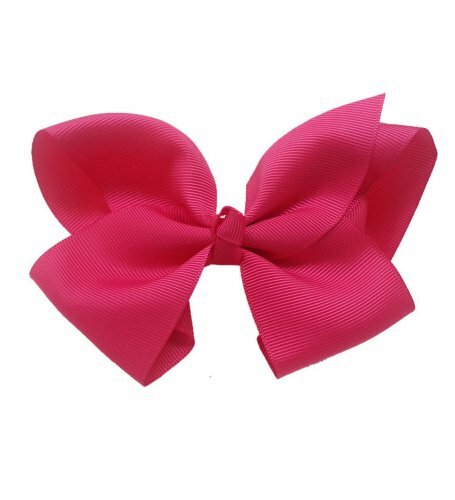 Make sure your pink dress matches the pink bow to completely blend into the character. By the time your dress gets delivered, you can keep these things ready – a red ribbon roll (of medium width), scissors, and glue. 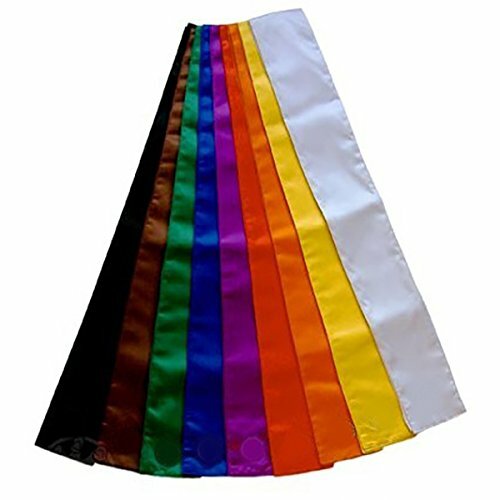 Stick the ribbon around 3 inches above the hem, on both the sides of the dress. Let it dry for some time and your Helga dress is now ready. 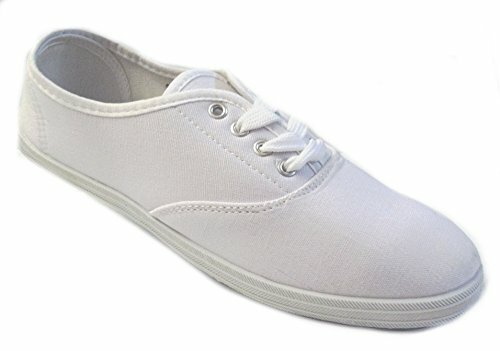 Get a plain white sneaker, without any design. Purchase it online or if you have one at home you can use that. You will easily get a wooden heart-shaped locket online. Gold paint the locket. Print a photo of Arnold on a glossy paper, cut it in a heart shape, paste it into the wood and Helga locket is ready. Although her wardrobe is filled with other designer clothes, she is always seen wearing this attire on the TV show. Her overall appearance is tomboyish and her dressing style is of 90’s. This makes her completely stand out in the crowd.